Starting March 10th, get down and funky with us every Sunday from 7pm-close! We will be showing retro movies on the screens and playing hits from the 70’s and 80’s. 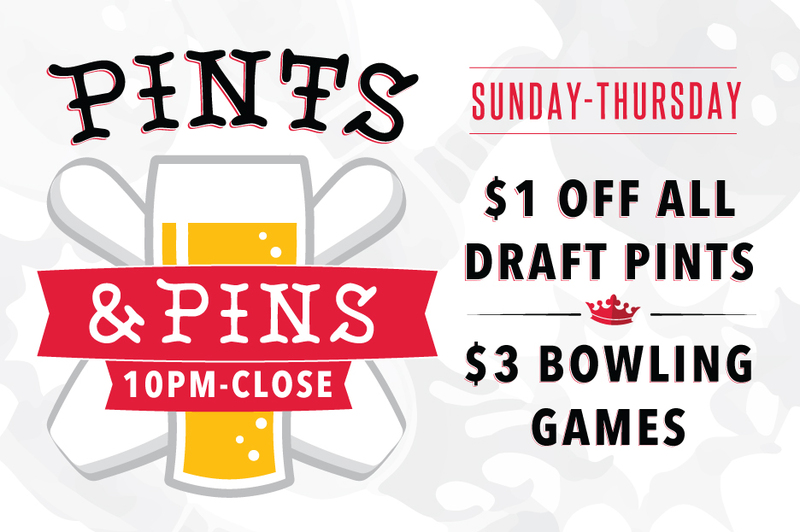 Sunday through Thursday night stop in for $3 games of bowling and $1 off all craft pints from 10pm - Close! From Sunday to Thursday come in between 4pm-close and get a pizza and a $10 gift card for only $20! Every Saturday and Sunday from 10am - 2pm we will be featuring our weekend brunch menu. 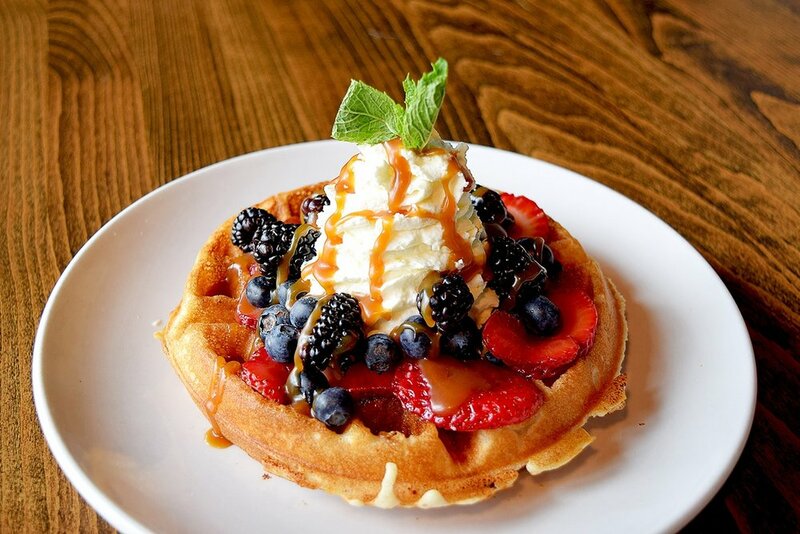 Try our Fresh Berry Waffle or Spanish Chilaquiles and chase it down with a $5 Mimosa or Bloody Mary! Let us help make your weekend a bit more exciting.